Most species of dolphins live in saltwater but some of them thrive in freshwater. A very tragic thing that a dolphin lover can see is dolphin beaching: a pod of dolphins that have apparently killed themselves by swimming onto a beach and lodging themselves there. Why do dolphins do this? The most prominent theory currently is that something confuses their echolocation, “blinding” them to the location of the beach in relation to the open ocean. Since beaching often happens near man-made sonar activity, it is believed that this impacts them. Some very recent autopsies of beached dolphin bodies show a very high percentage of damaged hearing, suggesting that a very powerful sound somewhere may have basically blown out their hearing. Dolphins see quite well, but without their ears they are disoriented and blinded. And when one dolphin beaches itself, the others are at risk because they will try to help him. About 8 million tons of plastic enters the ocean each year. At least 5.25 trillion pieces of plastic are currently in the oceans, a third of which is concentrated in the infamous Great Pacific Garbage Patch. 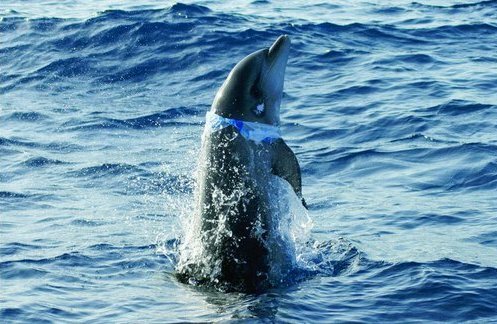 At least one million seabirds and one-hundred thousand marine mammals die each year due to plastic pollution. The survival of at least 100 species, including the Hawaiian Monk Seal and Loggerhead Turtle, could be jeopardized by plastic debris. It had always been assumed that cleaning the oceans was impossible, due to the vastness of the areas in which plastic is concentrated. Using vessels and nets to collect the plastic from one garbage patch would take about 79,000 years and tens of billions of dollars. Studies of whale and dolphin tissues from around the world show significant levels of persistent organic pollutants (POPs) and endocrine disrupting chemicals (EDCs). In some cases, levels of these chemicals are high enough to cause damage to both reproductive and immune systems. Pumping of waste products, metal processing, burning fossil fuels all increase the level of metals transported by ocean and air currents to the Arctic. The microorganisms convert inorganic mercury into for example methyl mercury which passes easily through cell membranes, accumulates in animals and spreads throughout the food web. is a nerve toxin that has a major impact on the brain, particularly in growing fetus and juvenile. Mercury can also damage reproduction in mammals by interfering with sperm formation. Can occur from blowouts, pipeline leaks or failures, or shipping accidents.These spills pose a serious threat to ecosystems. Furthermore, in the Arctic, there is no proven, effective method to clean up oil in ice. Almost everything we use has the potential to become marine debris, from the bottle of milk in the refrigerator to the refrigerator itself. The largest source of marine debris is runoff from land-based sources, such as storm sewers and parking lots. That means that the garbage we create each day most likely will end up in the oceans affecting dolphins, whales, and other marine life. enter the marine environment through land-based runoff and air pollution as well as ocean dumping. Things we use every day, like automobiles, air conditioners, and household products, create many toxins. Researchers routinely find high levels of toxins in the blubber of stranded marine mammals. 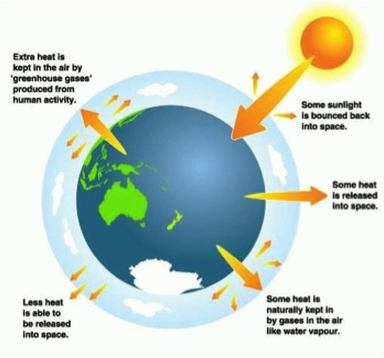 Climate change, driven by the greenhouse effect, is a fundamental threat to whales, dolphins and porpoises. There is unequivocal evidence that climate change is happening and that human activities are contributing to it and the climate is changing fast: so fast that some whale and dolphin populations may be unable to adapt. Climate change is expected to affect whales, dolphins and porpoises mainly through the loss of habitat (given the distinct temperature-linked ranges of most species), changes in food availability, potential increased competition from range expansions of other species. The potential impacts include changes in abundance, distribution, timing and range of migration, prey abundance and distribution, and reproductive success and ultimately survival. There are indications that some cetaceans are already being significantly affected by climate change and to protect them and indeed to protect all other living things, including ourselves, we need to act NOW !